Mubtasim made nearly all of the running to land the concluding seven-furlong turf handicap and give Godolphin a fourth winner of the night on week six of the Dubai World Cup Carnival at Meydan, UAE, on Thursday, 7 February. The five-year-old, having his first start for Godolphin and trainer Charlie Appleby, broke well from the outside stall of 14 under William Buick, raced prominently and soon went ahead. Buick manoeuvred Mubtasim over from his outside position towards the inside rail and settled for a narrow advantage. There were challengers in the straight, but by the furlong marker Mubtasim had shaken them off. He ran on gamely to have three quarters of a length to spare over Poet’s Society at the post, with another length and three quarters back to the third Freescape, with the winning time coming to 1m 24.06s on good ground. Charlie Appleby, responsible for three of the successes on the night, said, “I have got to give a lot of credit to the team. Brett Doyle rides Mubtasim out every day and has done a great job. “Mubtasim has been a keen horse and, from what we have seen of him, he travels well into his races, sometimes a bit too well, and doesn’t see it out. “We were anxious to get up there from that draw. It was always going to be a bit tricky, so I told William to keep it simple and it was a great ride from the front. “Mubtasim is a hard horse to assess because I work him on his own at home, because he is so keen. “Going into tonight, I did not really have a work angle on him, apart from the fact he was striding out well and Brett was pleased with where the horse was. “He has got a bit of boot, but we will get him back home first and regroup. “I knew on the first night of the Carnival that we were not quite where we needed to be, but there is no harm in that as you like to see horses progress through a Carnival. 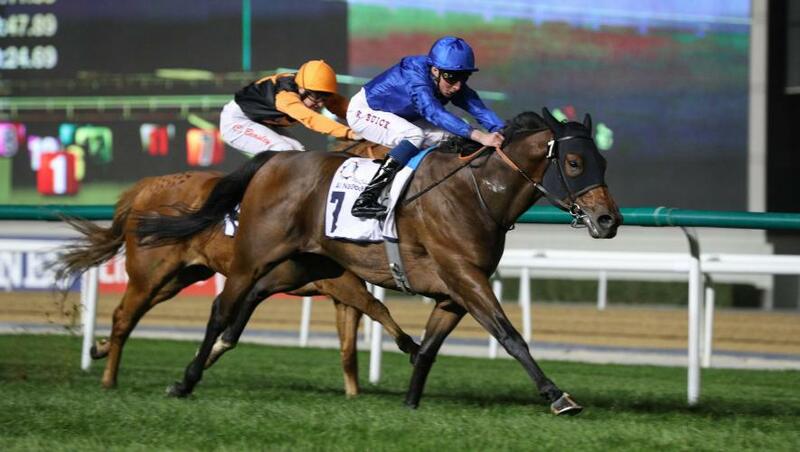 William Buick added, “Mubtasim was great out of the gates and got a completely clean break. “Charlie gave me an open canvas, though the one thing he did not want to see was me pulling the horse back. He is a big horse and I wanted to let him use himself. “He was always within himself, perhaps a little bit exuberant, but he saw it really well and it was a good performance. “He is an energetic horse, incredibly honest, and puts it all in.